In 1982, in the middle of fighting, the nun saved from bombardments a group of children in an orphanage. Disabled and ill, the children had been abandoned by the staff. Through faith and prayer, she obtained a ceasefire to evacuate. A Druze writer and activist, direct witness to the events, talks about it. Beirut (AsiaNews) – The Missionaries of Charity of Mother Teresa have been in Lebanon since 1979. They now include 13 nuns divided in two "houses" in Beirut and Bécharré (northern Lebanon). 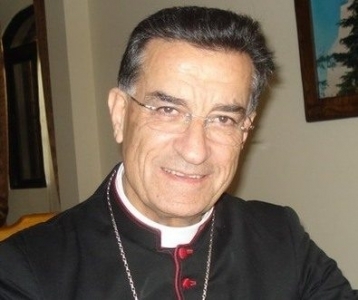 Their presence has sparked a number of vocations in Lebanon itself, where they are very much loved. In different Beirut parishes, the canonisation ceremony is being prepared through prayer. This is the case especially in the Maronite parish of St Thecla, in the northern suburb of Beirut, where the Beirut home is located. A novena of prayers followed by Masses is underway before Sunday, with volunteers, seminarians and priests bearing witness. 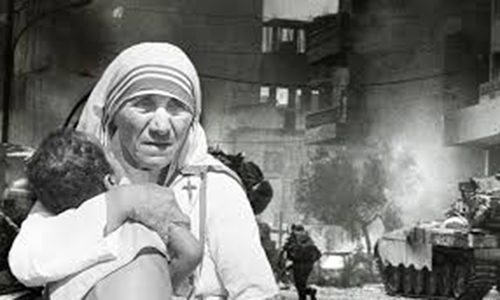 As for the memory of Mother Teresa’s heroic visit to Lebanon during the war, in 1982, it has dimmed somewhat. However, one of the key witnesses of this extraordinary event, Amal Makarem, a member of a prominent Druze family, has forgotten nothing. We met her and asked her some questions. Here, within the limits of what a newspaper article can hold, are the events as they unfolded then. Take one - August 1982. As part of what Israel called "Operation Peace for Galilee", launched on 14 June, the Israeli army, under the command of Ariel Sharon, encircled West Beirut. General Sharon wanted to drive out the PLO. Aerial and ground bombardments continued. The Beirut International Airport was closed. The toll was heavy: 500 deaths according to some, mostly civilians, and as many wounded. In the besieged capital, water and food supplies were running out. Many neighbourhoods were without power. 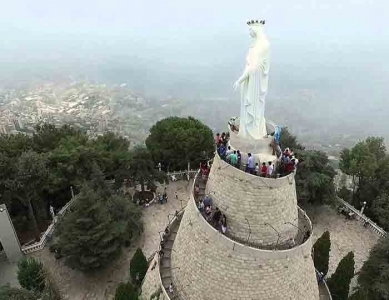 On 10 August, responding to a call relayed by Agence France Presse (AFP), Mother Teresa arrived hurriedly in Lebanon by the small port of Jounieh, located in the predominantly Christian part of the country, which had been spared the war. The call itself has a background. It was launched in desperation by Amal Makarem, horrified witness of a scene worthy of Dante’s inferno: a hundred spastic and mentally retarded Muslim children had been abandoned to themselves by the staff of an orphanage located in the western part of Beirut without food, care, or hygiene. Some were dying. Take two - 13 August 1982. Transcript of a video from that time that has unfortunately been lost, except for a faded copy still in circulation. After she landed in Jounieh, Mother Teresa talked to a priest and an officer, in a place that could be a convent or an office, about what has to happen the next day. "I feel that the Church must be present at this time,” Mother Teresa tells the two men sitting in front of her. “Because we are not into politics. This is why we need to be present. " A saintly logic, of course. Priest: "That’s a good idea, but you must understand the circumstances Mother . . . Two weeks ago, a priest was killed. It's chaos out there. The risk is too great. " Mother Teresa: "But Father, it is not an idea. I believe it is our duty. We must go and take the children one by one. Risking our lives is in the order of things. All for Jesus. All for Jesus. You see, I've always seen things in this light. A long time ago, when I picked up the first person (from a street in Calcutta), if I had not done it that first time, I would not have picked up 42,000 after that. One at a time, I think ... "
Second man - "But do you hear the bombs?" Mother Teresa - "Yes, I hear them." Second man - "It is absolutely impossible to cross (east to west) at the moment; we must obtain a cease-fire! " Mother Teresa - "Ah, but I asked Our Lady in prayer. I asked for a cease-fire for tomorrow eve of her feast day" (eve of 15 August, feast of the Assumption). Voice commenting off camera – When she arrived in Lebanon, Mother Teresa had asked to see the Ambassador of the United States, Philip Habib, sent by President Ronald Reagan to end Ariel Sharon’s escapade, who met her. Philip Habib (1920-1992), an American diplomat of Lebanese origin, was known for his work in Vietnam. The New York Times described him as "the most outstanding professional diplomat of his generation." 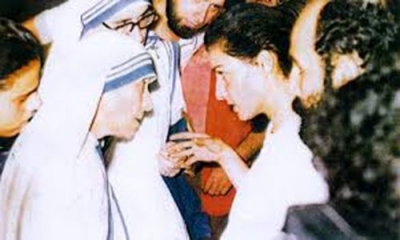 According to witnesses, after listening carefully to Mother Teresa, Philip Habib replied, "Mother, I am more than happy to have a woman of prayer at my side. I believe in the power of prayer; I believe that prayer is answered. 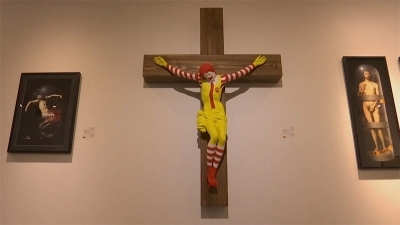 I am a man of faith. But, you see, you're asking Our Lady to deal with Prime Minister Begin, and do not you think that the time limit you gave him (to order a cease-fire) is a little short? You should extend it a little? " Mother Teresa, very seriously: "Ah! Not at all Mister Habib! I'm sure we'll have a cease-fire tomorrow." Philip Habib: "If we get a cease-fire, I personally will ensure that arrangements are made for you to go to West Beirut tomorrow." The next day, 14 August 1982. Total silence envelopped the city. Take three – A big-hearted Woman, a writer, an activist, Amal Makarem lived in the building where the International Committee of the Red Cross had its headquarters at the end of Hamra Street, in the encircled part of the capital. In fact, the building belonged to her family. By necessity, she was involved in relief operations in this time of emergency, and coordinated the work of several NGOs working in the field: the ICRC, Doctors Without Borders, Doctors of the World, Unicef, Oxfam, etc. Let her speak: "One day, a volunteer for Oxfam, Derick Cooper, an Englishman, came to tell me, distraught, to say that in a building near the Sabra Palestinian camp, disabled or orphaned children are exposed to airstrikes, abandoned by the medical staff. We got there despite the risks. What a catastrophe. There are more than a hundred children, moaning or dazed. The facility’s kitchen is locked. 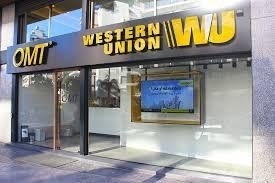 In a panic, the staff had fled the bombed building. There were dead and wounded." "With this information, I ran to Jean Hoefliger (a Swiss), the ICRC delegate general in Beirut. For me, it was inconceivable to let these children one more night in this situation. His answer stopped me there and then: "We cannot do anything for your initiative. We deal only with the Lebanese government. You must be in an official capacity for us to intervene." "Desperate, I sought out the Minister of Social Affairs, Abdel Rahman Labban. I found him at the office of the Minister of Information, Marwan Hamadeh, a friend, in the Hamra area. That's where they used to follow the battle of Beirut, without any power over the course of events. Minister Labban, informed of the case, immediately gave me delegated authority. I run to Jean (Hoefliger). A day or two later, the first evacuation of children in danger was done with the help of part of the orphanage staff, who had come back. The Armenian association Andranik, in Zarif, in the western part of Beirut, an area away from the fighting, would provide shelter for the first group." "What about the others? These are the most vulnerable, spastic children without any autonomy, who must be fully supported. For them, the ICRC estimated, a stronger facility was necessary. My heart sank. I went home, quite dejected. I called the director of UNICEF. Impossible, he replied. This requires a government facility. That evening, after desperately seeking out many contacts, I sat in front of my little typewriter and wrote an appeal to the world. It was a desperate SOS, a bottle into the sea. I did not even speak about it to others. I myself could not believe it. Then I went to the AFP, I gave it to Mouna Naim, a journalist who later became my friend. The next day or two, I forget, media miracle took place. The ICRC called me. “We received a call from the Vatican and it is Mother Teresa who will come to help the evacuation of the children." "I had not yet recovered from my surprise at dawn of 14 August. My doorbell rang It was 5:00 am. I opened and there was Mother Teresa and the ICRC director." The cease-fire negotiated by Philip Habib, but obtained through faith, was actually in place. An unreal calm enveloped Beirut. All the international press was at the ground floor of the ICRC building. A coffee, a glass of water, a bit of a sandwich, Mother Teresa refused everything, said Amal Makarem. There was no time to waste. The ICRC convoy with a bus and a jeep of the Lebanese Red Cross, drove off towards the Islamic orphanage. One by one, as it has always been done with Mother Teresa, 36 spastic children, totally feeble, were carried out and placed into cars. Some put the figure at 60 children. However, according to an ICRC official, "the nursing staff had abandoned them. The hospice itself had been hit by shells, and there were deaths. The children were left without care, without food. Until the arrival of Mother Teresa, no one had really thought of taking charge." In fact, some mothers and staff had probably come to visit, not without risk to their lives. Through streets strewn with debris and piles of garbage, the children were taken to Fanar, a working class Christian suburb of Beirut, where the Missionaries of Charity had set up shop in 1979. "Everything was magical, miraculous with Mother Teresa,” said Amal Makarem, who witnessed the two-stage evacuation. She was a true force of nature. It was enough that she crossed from east to west at night. By contrast, I cannot describe the children she rescued. They were mentally disabled, but what is terrible is that we also found normal children in the group who, through mimicry, behaved like feeble-minded children. Mother Teresa took them in her arms, and suddenly, they flourished, becoming somebody else, like when one gives a little water to a wilted flower. She held them in her arms and the children bloomed in a split second." The interlude of Mother Teresa was a harbinger of more to come. On 21 August, a definitive cease-fire was signed, under which, after laborious negotiations overseen by Philip Habib, the PLO left Beirut. Alas, bloody episodes would follow, like the assassination of President-elect Bashir Gemayel and the massacres of Sabra and Shatila. Shortly after the reopening of the airport, Amal Makarem, who had flown to Paris, was informed that Mother Teresa wanted to see her. When they met, Mother Teresa complained of what was done "behind her back". As things got back to normal, in the name of religious difference, the children she had sheltered were taken back. “Ordinary" life got the upper hand. Here is a poem in French dedicated to Mother Teresa followed by an English translation. Que les bombardements cessent ? Mère Térésa, c’est pour nous que ce gouffre s’est ouvert. Qui assume en ta chair, la nuit totale de l’Occident. She had slept in clothes. The time for the flame to burn. Mother Teresa, it is for us that this chasm has opened. The night of faith is a supernatural night. Who takes in your flesh, the total night of the West.